Good whatever time of day you are reading this! The decorations of Christmas, I hope, are down and packed away. I look forward to one thing in January – fresh space. As in we end a year with Santas, nativities, stockings, wreathes and we start a year with a fresh slate. If you are looking at your home thinking it’s time to change some things up let this post help you out. The easiest way to change your home’s look and give it a fresh new vibe is to change the color. This translates to painting the walls. I, personally, despise painting; but I cannot deny the way a freshly painted room makes me feel! The 2018 Pantone color of the year is purple and that is a color I can personally deal with (and smile.) The specific shade of the year is ultra violet which is a fusion of red and purple. So let’s play with this color for a moment shall we? Thank you Wesley Moon for this photo! 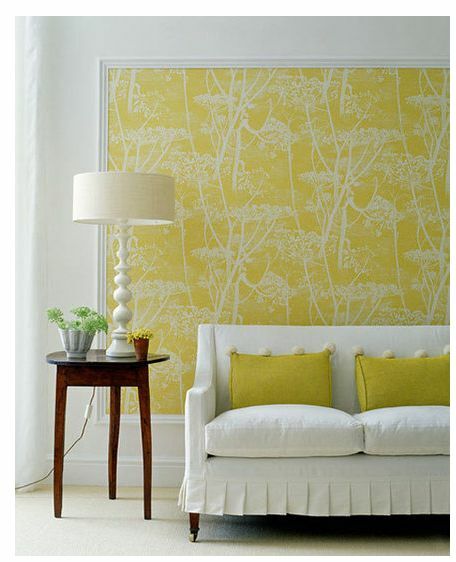 I love the golden rod accent! To up the femininity of the shade you can pair it with soft grey. These shades also go well with gun metals. Let’s not forget making it super fun and pairing it with bright pinks, oranges, and greens. This photo is courtesy of The English Room and I love the pops of color with the sofa being the centerpiece. PPG likes to share their color of the year (less followed than Pantone) and they chose Black Flame. 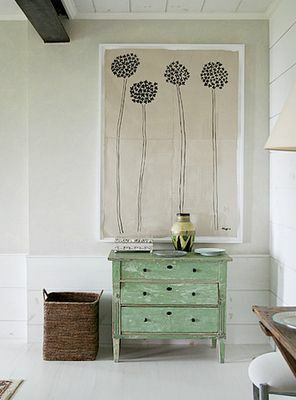 This isn’t a color I prefer on my walls (Southern girl here not a metropolitan gal.) However, I do like to accent with black! My heart does flutter a bit at the accents of Secret Safari and Gypsum. Ocean Side is calling to me (not just because it’s ocean) because it is the color I’m naturally attracted to. We all have that shade that pulls us in and these shades are the ones that catch my eye and magnet me right over. If you have been in my house then you know this entire palate could be renamed Amanda. So there are some ideas for walls as per the trendy side of 2018. You may feel more comfortable using those colors for accents. Go for pillows, window treatments, rugs, towels, and my favorite – flowers! I am channeling my Mom-o on this part of the post today! This year make your house a mini green house! From succulents, which require little to nothing, to fun tropical style plants, all the way to basic ivies – bring the plants in! Not only will they clean your air and teach your kids some responsibility; but they will bring new life to your home and liven it up just by existing! Plants should go in EVERY room! The living area, kitchen, bath, bedrooms, even the laundry! Put a little green happiness in there and be healthy! Go the extra step and place plants you actually use in the kitchen – herbs, aloe, etc. I grew up in the 90’s and so I have this feeling about brass that makes me nauseous. However, this year we’re mixing metals. Copper got the shining spot last year and this year we are looking at fusing your copper pieces with brass pieces and tin. Mix the metal. I fell in freaking love with this photo because it’s calling to the depths of my soul. OK now that that is out and I feel great – this is what I’m talking about. The mixing isn’t in your face and ugly it’s dainty and precise. Unlike all that damned brass from 1991. Caitlin Wilson you rocked this out. I wasn’t around in the 70’s but I have been in homes that haven’t been touched since the 70’s. Many of my sweet clients live by the rule if you wait long enough the trend will return. Well, while I hope that a few trends never show back up this is one that I guess isn’t so terrible. 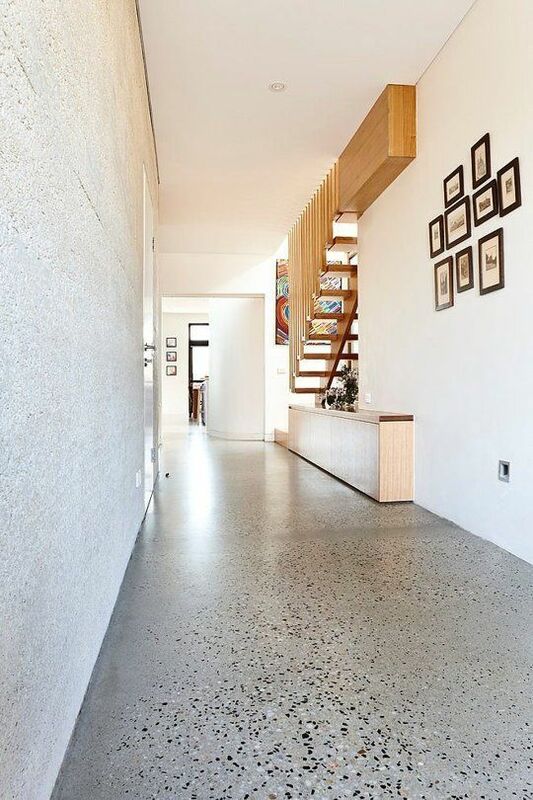 The flooring is terrazzo – remember it? Many municipal buildings had this so if you’re not quite from the 70’s then you will remember seeing it in schools, post offices, the courthouse. This is actually not a bad flooring because it is so easy to maintain and keep clean. You sweep, vacuum, and mop. 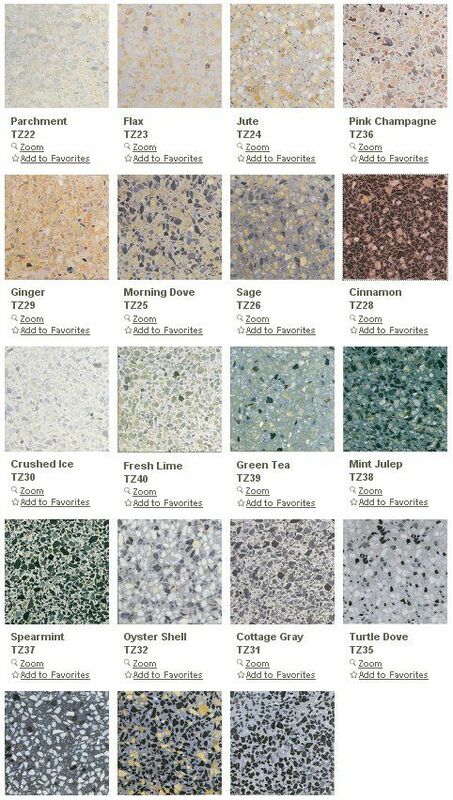 You can also pick from a super wide variety of terrazzo colors and patterns. I’m not going out to order this. But hey! No, it doesn’t but I’m not a fan of it or Herringbone which is supposedly the rage for ’18. 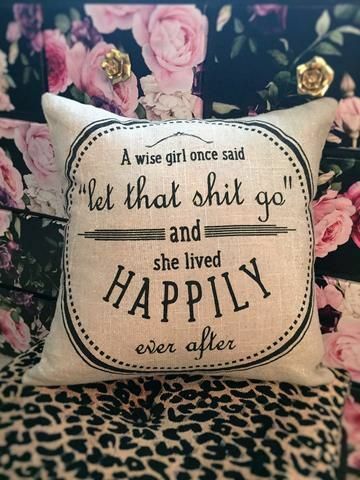 I had to get this one from HGTV – OK I give in it’s cute! Gallery walls have been the rage for about ten years. I never created one in my home (but the idea did cross my mind no short of 76 times.) Twenty eighteen is asking you to bid adieu to the gallery wall and to embrace large art. If you hate painting then you should get excited right now! 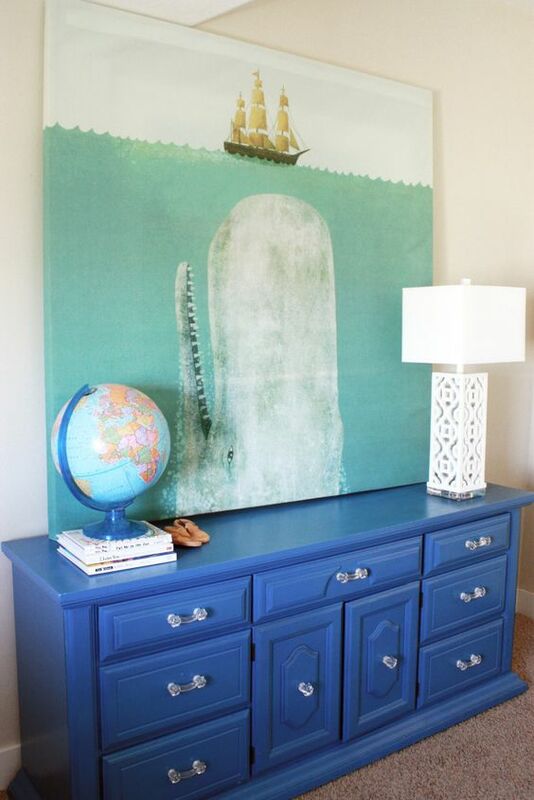 Instead of drop cloths, brushes, and rollers, you can use that money to buy a few new oversized pieces of art (go ahead and hit up Hobby Lobby) and change your room with a simple tack or two. So there you have it a slight culmination of home trends for a new year. What do you love? Hate? Want to try? Let me know! Oh and every girl needs this in her life this year…. Now, this is some cool decorating, such fun plays on color and I gotta admit some of those colors are making my heart go pitter patter, I just get scared to go bold but Oceanside…oh I can get behind that!! PS, saw tour bathroom on Twitter and LOVE the color!! Happy Monday my beauty!! I love bold color. However, I am much more conservative the more seasoned I get on my bold color usage! Paint away! Cheapest way to “create” a “new” space! 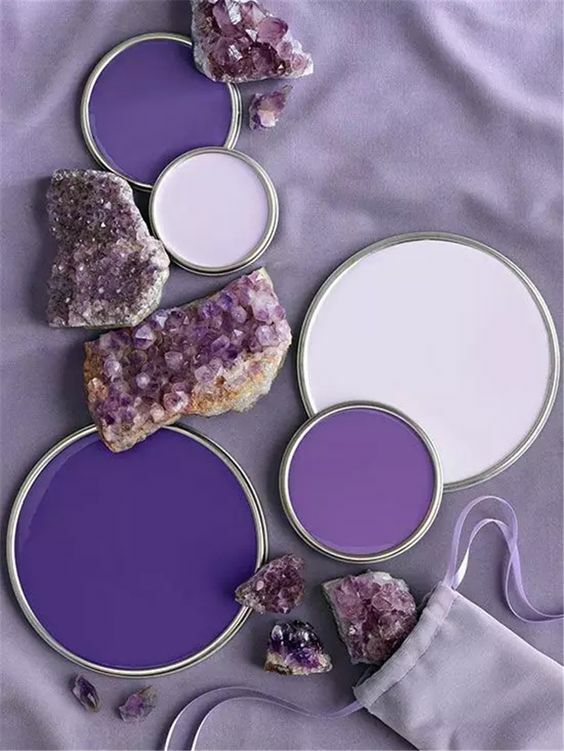 Purple is my favorite color and I had a lavender room with a canopy bed when I was growing up. It was the best thing my mom ever did for me! Bring on 2018 & the purple! Aweeee! I loved purple as a kid and still do today! That’s so sweet of your mama. You look great in purple too! When I saw the Pantone color I thought about Monica Bing in Friends and her apartment. I love that color. 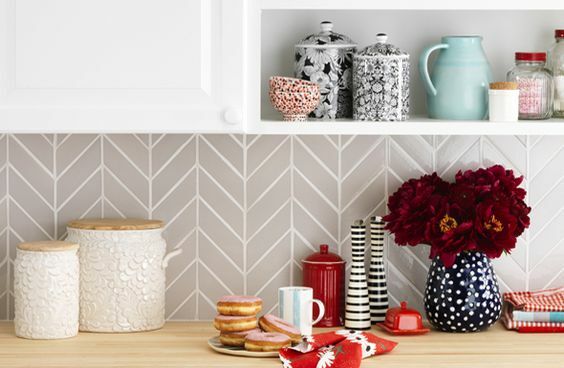 I also love herringbone! My grandmother’s house had terrazo floors as does my place of work, I love that they are coming back! I love that pop of purple bed! Alas I rent and cannot do many things to my home, but I am very inspired to do all kinds of things to Gentleman caller’s house now, I may just have to go over there and do it! There is a lot you can do in your rental that shouldn’t violate your contract! 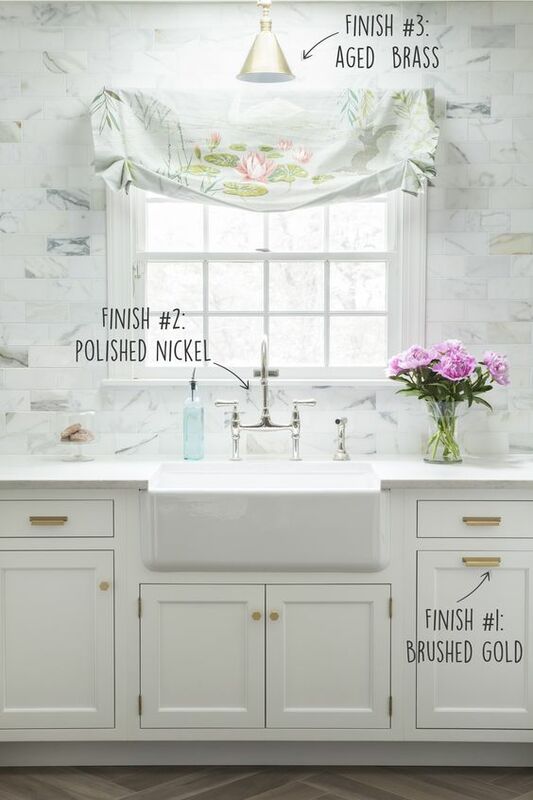 From this post the addition of mixed metals in your “removable” design scheme; houseplants are of course easy! But if you are thinking about painting well….I digress!